If we were to do an audit of the functioning of our democracy – the health of rights of citizens, the health of institutions – it is useful to divide what happened in the first 64 years and what happened over the last five. This is the text of the Krishna Bharadwaj Memorial Lecture, delivered at Jawaharlal Nehru University on March 14, 2019. Sixty nine years ago, we framed a constitution and founded a republic. The foundations of this republic are a democratically governed society with various fundamental rights guaranteed to every citizen and the establishment of institutions which will preserve democracy and the rights of citizens. Though we founded a representative democracy where people do not have a direct say in government decision making or law making, but it is implicit for democracy to be meaningful, that the people must have adequate information about what is happening in society, how the country is being governed, what kind of law and policies are being proposed, so that they can discuss all these issues and express their opinion about them. It is also necessary in the functioning of democracy that power and in particular financial power is not so unevenly distributed, so that a few people will be able to in [Noam] Chomsky’s words “manufacture consent” by using their power to advertise and influence public opinion. Our constitution also guarantees various fundamental rights to all citizens and some to even non citizens. The most important of these is the right to life and liberty which is guaranteed to citizens and non citizens alike which has been held by the Supreme Court to include not just the right to a bare life and bare liberty but also a life of dignity and thus having all those amenities and facilities which allow for a life of dignity such as food, shelter, education, healthcare, a healthy environment, a corruption free society, etc. The right to liberty also requires a freedom from oppressive and draconian laws which jeopardise the liberty of citizens. In the other civil rights guaranteed by the constitution is the freedom of speech and expression which has been held to include the right to a free media as well as the right to information and therefore the right to be informed about the functioning of all public authorities and institutions. We have also been guaranteed the right to equality and therefore the protection of minorities from an assault on their rights by a communal majority. 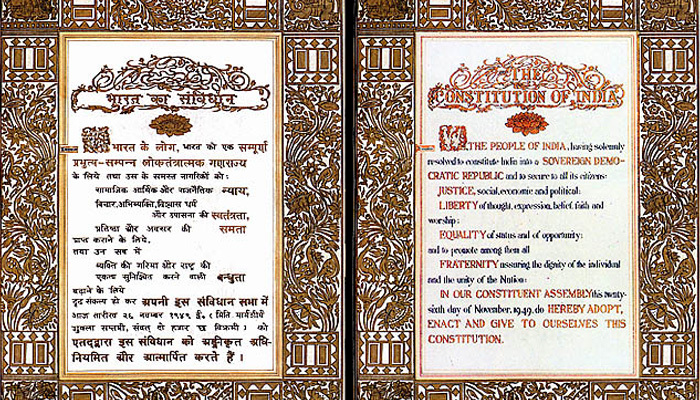 Various institutions have been created by the constitution and the laws to guard the functioning of democracy and also to protect fundamental rights of citizens.These include an independent judiciary, which has been tasked to protect fundamental rights and to ensure that the executive and the legislature remain within the bounds of the powers laid out for them by the constitution. An Election Commission has been created to ensure free and fair elections and all that is necessary for that. A Comptroller and Auditor General has been set up to do financial and performance audits of every part of the government which uses public funds. Special laws have been made to set up an independent Central Vigilance Commission which is supposed to not only accord vigilance clearance to public servants, but also to supervise the functioning of the CBI and act as the nodal agency to receive complaints from whistle blowers. The Lokpal Act was brought to set up the apex anti corruption ombudsman and the CBI Act to create an anti corruption investigating agency. There are also various laws and institutions to protect the freedom of the press. 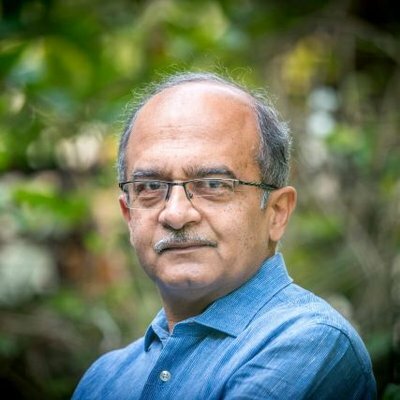 If we do an audit of the functioning of our democracy, the health of fundamental rights of citizens and the health of institutions created to protect all of this, it might be useful to divide all that into what happened in the first 64 years and what has happened in the last five years since Independence – since as we will see the last five years have been a watershed in many ways. In the first 64 years of our republic, our representative democracy made some progress and some regress as well. The breath and depth of education did improve overall during the first 64 years, thereby making way for a more educated citizenry. The advent of the Right to Information Act in 2005, also led to a substantial advance in the progress of democracy as people got greater access to information about the functioning of public authorities. A robust right to information campaign ensured that the RTI Act was used substantially leading to greater transparency of public institutions and authorities. The Election Commission also became more independent and robust, which led to freer and fair elections. However, economic inequality of our society grew particularly after economic liberalisation, with policies focussing on GDP growth at any cost. This increasing economic inequality led to more and more wealth in the hands of fewer people at the top who could then use it to influence elections and thus our polity came to be controlled increasingly by large corporates and policies were tailored for the economic interests of large corporates rather than the people. This also led to the phenomenon of manufacturing consent as Chomsky called it. On the front of fundamental rights, the first 64 years also saw some expansion of rights particularly by the Supreme Court through an expansive and creative interpretation of the right to life (which was held to include a right to live with dignity) and the freedom of speech (which was held to include the right to information, a free press, the right to privacy, etc). There was also some improvement in the protection of Dalits and minorities with the creation of a Minorities Commission and an SC/ST Commission. Several rights based legislations have also been enacted especially in the first decade of the 21st century such as the Food Security Act, the Forest Rights Act, the Rural Employment Guarantee Act, and the new Land Acquisition Act of 2013. These went a long way to expand and strengthen the rights of poor and marginalised sections of society. The first 64 years also saw a strengthening of several institutions, including the judiciary, which become more independent and robust in general, despite other institutional failures of being inaccessible to the majority of the people, being lethargic and also unaccountable and corrupt. Despite all these problems, its independence improved as the selection of judges was withdrawn from the government and vested with the judiciary itself. Though that led to slightly more independent judges being appointed, it did not necessarily lead to more honest or more competent judges being appointed. The first 64 years also saw, strengthening of the independence as well as institutional depth of the Election Commission as well as of the CAG. This happened despite both these bodies being appointed by the government but because of the growth of these institutions themselves and the breath and depth that was added to them, as well as an institutional embedding of their functional independence, which gradually seeped into the consciousness of the individuals who came to man these institutions, especially in the last 30 years. The Supreme Court also chipped in to order changes in the method of selection of the Director, CBI, the Central Vigilance Commission and the Police Chiefs in order to make them more independent. The institutional changes directed by the court in the police organisations were such that if they had been properly implemented it would have made a sea change in the functioning of the police, at least with regard to its independence from the political executive. Unfortunately however, many of those salutary changes ordered which included the establishment of a Police Establishment Board for transfers and postings of police officers, the creation of a Police Complaints Authorities for entertaining complaints against Police Officers and a minimum tenure for field level officers, have been frustrated by an obdurate executive in most states which want to have the police as their handmaiden, to be used for their political ends. Some new institutions were also created like the Lokpal, by means of the Lokpal Act and a Salutary Whistle Blower Law was also passed. Also read: Watch: Do Finance Bill Provisions Impinge on Rights? Also read: We Are Witnessing the Death of the CBI. Will Indian Democracy Follow?